Its friday and i’m back with another nail paint review. It’s a shade from the Maybelline Color Show Range! As i ahd said earlier that everyone has loved this range and I love it too… Today I will review a beautiful shade Denim Dash. I have picked up a couple of more shades and one from the glitter mania range as well, will review them soon. Hope you enjoy this post! I love the packaging : simple and compact. 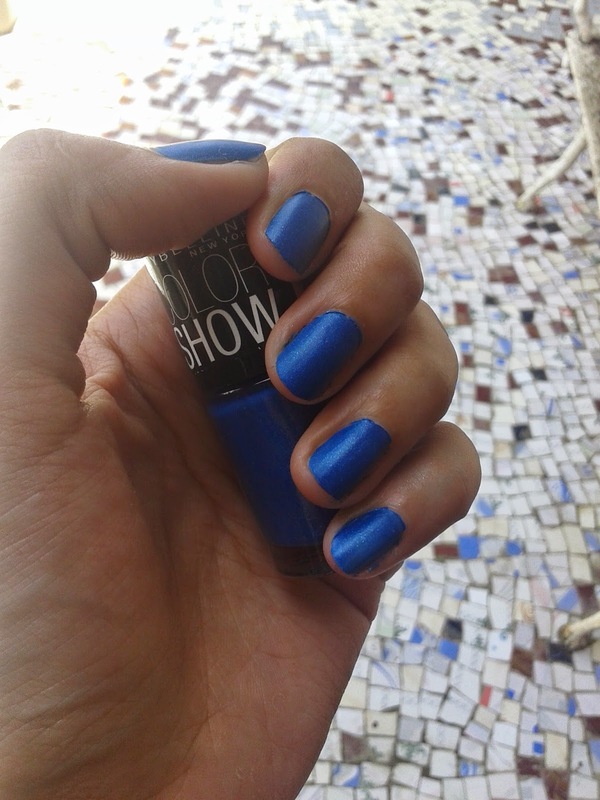 The shade is a lovely matte blue with some micro blue shimmers in it. 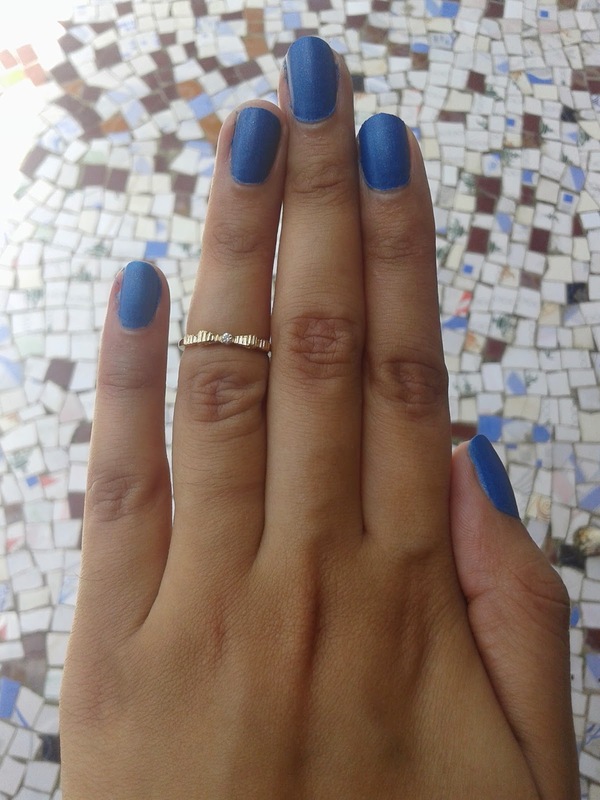 Its again a unique colour and looks exactly like the shade of denim so well it has an apt name! The formula and consistency is really good. It applies almost opaque in one coat but two coats give you the proper color to your nails. Its dries into a matte finish pretty fast and im really loving the way the shimmer adds more definition to this shade. Its lasts for 4 days without any chipping if you dont use a top coat. With a top coat it will definitely last longer but then it doesnt look matte. So i avoid the top coat! i'm simply in love with this shade. 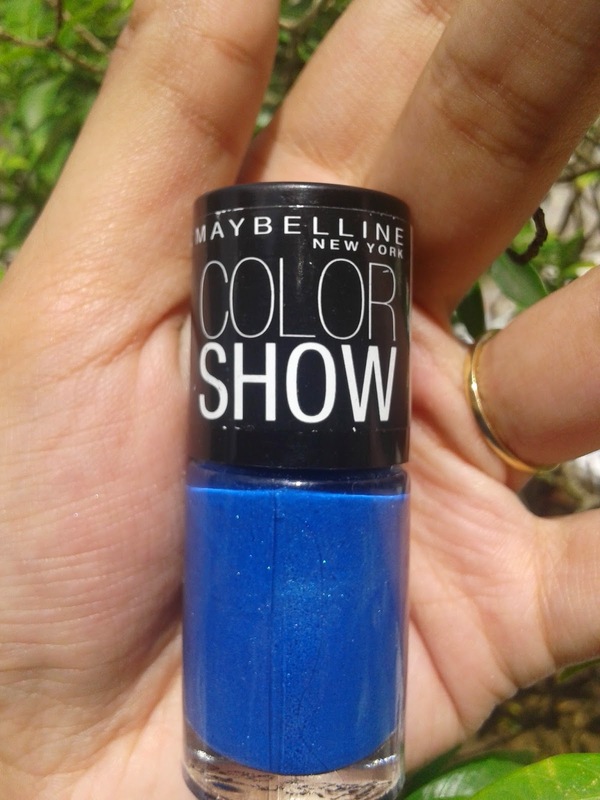 If you are looking for a vibrant blue nail paint... Definitely give this a try... amazing quality by maybelline! 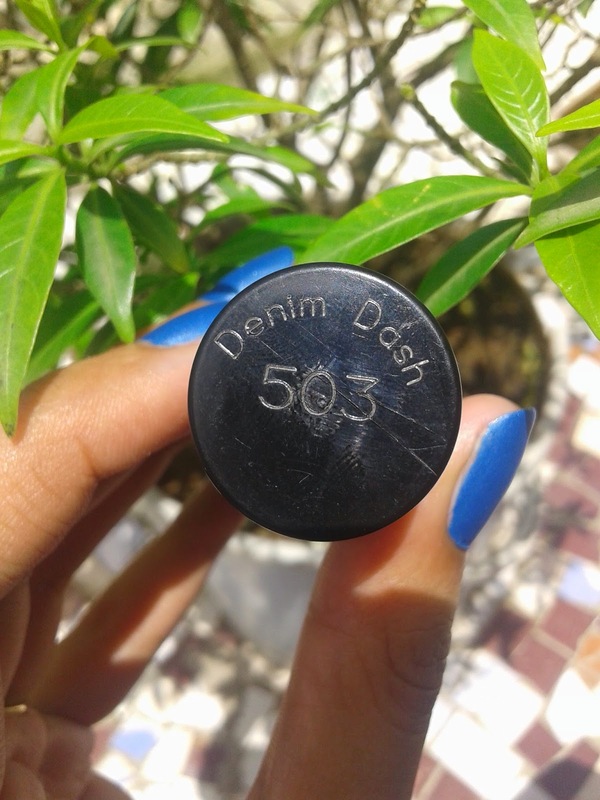 Have you tried Denim Dash by Maybelline? Which is your favourite shade from Maybelline ColorShow Range? Do leave your comments! 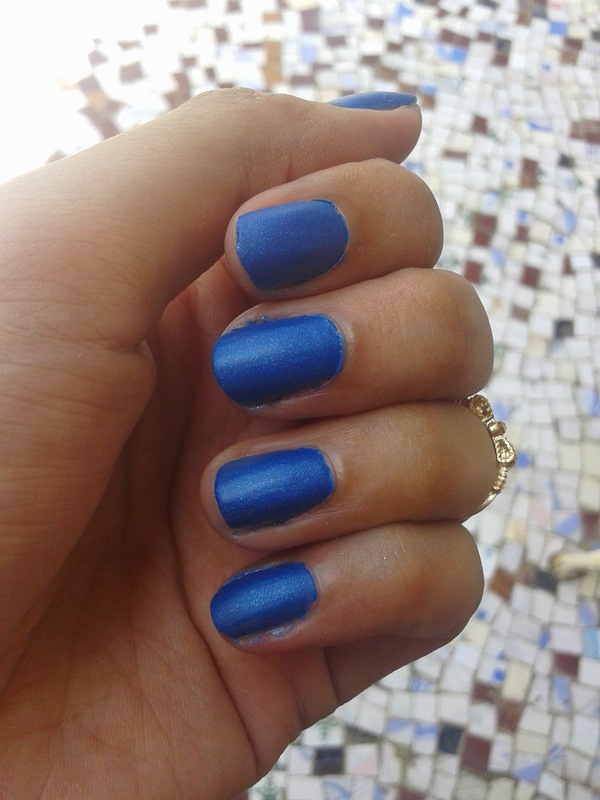 Wow Karishma , i love this shade , i love matte ones , they look so different and blue color is one of my favorite of all as nail polish !!! Good pick up ! !waiting to see the glitter mania polish !! Maybelline has come up with lovely glittery polishes this time !! by the way how much are they ?? The Color Show ones are for Rs.75 and the Glitter Mania is for Rs.125!